That's it! Even though it uses a lot of ingredients, it's still really quick and easy-to-make. 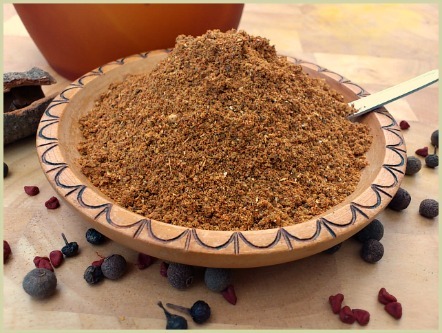 Note: For this ras el hanout recipe, try and use as many whole ingredients as possible. Of course if you don't have them all, just use pre-ground powders and reduce the amounts by roughly half. So if it says 2 tablespoons whole coriander seeds you use 1 tablespoon pre-ground coriander. Reduce any others you don't have by half as well and stir in with the other powders when making. Store your Moroccan blend in an airtight jar out of direct sunlight. Use within 3 months. Note: As this is probably the most complex blend you'll ever make, I recommend taking it a step further and dry toasting the whole ingredients before cooling and grinding.